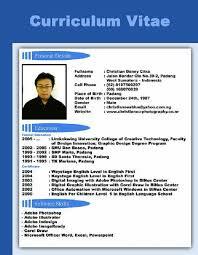 Vital objective of this article is to discuss how to write Curriculum Vitae perfectly. A curriculum vitae is a written introduction to a person’s experience and also other qualifications. In several countries, a C. V. is usually the first item that the potential employer encounters about the job seeker and is typically used in order to screen applicants, often then an interview. Make the time to analyze and write down the achievements you have ever had. Try to include something extra besides your educational qualification or experiences. This ‘extra’ may bring a differentiation with other many applicants. Keep this things in thoughts while writing the CV: Make a good appearance, Using familiar font, Spelling and Grammar, Some special qualifications, Use a different CV for different jobs and Use accurate reference.